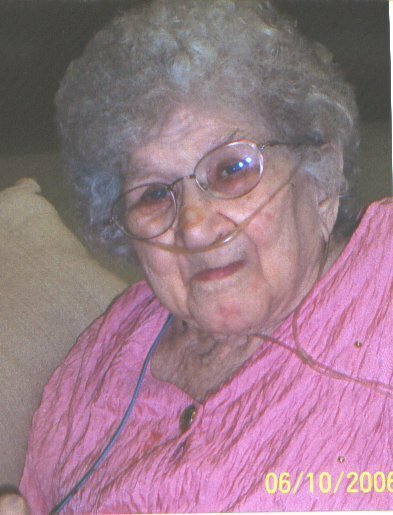 Myrna Marie Dyson Veer is the 97 year-old daughter of Walter and Rose Belle (Martindale) Dyson, the last of her family. She has somewhere around 50 grandchildren and many great-grandchildren, and great-great-grandchildren. Walter and Rosa Belle also had three sons not mentioned in the historical encycopedia and history of Carroll County. They were Willard, Ralph and Arthur. 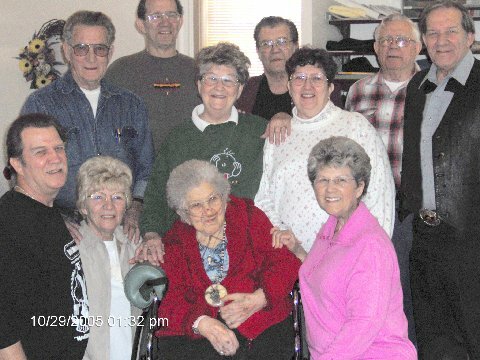 Mom's children missing from this picture are Charles Edward of Peru Indiana, Ralph Douglas of Thompson Ga., Beatrice May (Dean) veer of Martin, Tn., Ronald Floyd of Freeport, Il., who weren't present at this time. The rest of us all live in Freeport, Il. Information courtesy of Ernest Veer [email protected].